Stevens Creek Toyota is conveniently located in San Jose, servicing Toyota owners throughout the area. Stevens Creek Toyota has expert technicians on staff to handle your repair needs or oil changes, tire rotations, battery replacement, brake repairs, and all other Toyota Factory Scheduled Maintenance. 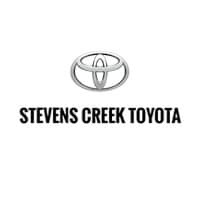 Stevens Creek Toyota is committed to providing the care and expert service that our guests come to trust. Our Toyota-trained technicians have spent thousand of hours understanding each and every Toyota vehicle and use only Genuine Toyota parts to service and repair your Toyota. Come see for yourself how our team of experts help keep your Toyota a Toyota. Call our Service department at (408) 984-8833, or schedule your service online today!